Although very geeky sounding, last Wednesday (18 February) an important announcement was made that is set to speed up web browsing for everyone! 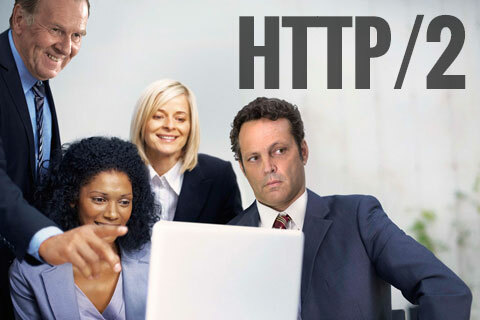 The Hypertext Transfer Protocol (HTTP) controls how your bowser connects to a website (you will almost certainly have noticed that every web address begins with http://), and was invented by Sir Tim Berners Lee back in 1989 along with the World Wide Web. The HTTP protocol first saw the light if day in 1991, and was last updated to HTTP 1.1 (which allows multiple connections to load resources in parallel) in 1999 – sixteen whole years ago! The new specifications were developed by the Internet Engineering Task Force (IETF), which has declared the standard formally approved, subject only to a short comment and editorial process. This is expected to be a mere formality, however, and Firefox has already upgraded its latest stable build to support the new standard, meaning that Firefox users can take advantage of it immediately. Google has also announced support for HTTP/2, which will roll in its Chrome and open source Chromium browsers over the next few weeks. Unlike SPDY, HTTP/2 does not force the use of TLS (Transport Layer Security) encryption to enhance privacy and security, which many would view as a step backwards. Both Firefox and Chrome, however, have said that their browsers will only support HTTP/2 over TLS, so for websites to gain the speed benefits of HTTP/2 they will have to implement TLS encryption. The secure version of HTTP, HTTPS, will otherwise remain unaffected, although HTTP/2 requires a better version of TLS (1.2) than was previously the case (TLS 1.2 was first introduced in 2008, and should be standard on most secure websites by now). As a personal internet user, nothing! HTTP/2-capable browsers will automatically switch from HTTP 1.1. to HTTP/2 if available, and it is very much in the interests of website owners, web hosting companies, and developers to upgrade to the faster standard as soon as possible. As already noted, Firefox is HTTP/2 enabled already, Chrome is soon to follow, and other web browsers should not take long to catch-up, so within weeks you should be feeling the speed benefits as you surf around the web. How does this affect IronSocket? The upgrade to HTTP/2 will have no affect on our VPN or SmartDNS services, other than that users will experience the same speed benefits that all internet users will enjoy. We will, of course, also be updating our website to take advantage of the new standard as soon as possible! If you have any further questions about HTTP/2, and extensive official FAQ is available here. SmartDNS.com Launch Party and Contest! IronSocket is teaming up with the latest Smart DNS Proxy reviewer SmartDNS.com (related to the highly respected BestVPN.com) for their official website launch party! The event begins now, and ends on March 31st. Everyone can participate for free! To participate in the event, all you need to do is visit SmartDNS.com and follow the easy directions to get started now. We wish the best of luck to everyone and welcome SmartDNS to the scene!